KS: It's a Blue Moon if I wing it when choosing somewhere to eat. Surely I will be flexible when on a trip with friends, but otherwise I do a little digging on where to eat and what to choose off the menu ahead of time. My biggest motive for this is I am sensitive to dairy and gluten, as well as, I have to keep blood sugar control a priority with 26+ years of having type 1 diabetes under my belt. Overall, eating low carb for blood sugar control is easy to do, but when I eat out, I want to fully enjoy the experience without worrying about cross-contamination or poor quality. Above all, to streamline the work, I have my go-to places for when I am on the road, and if I craving something slow, I will look for a farm-to-table. CA: Most memorable restaurant meal in (or near) Columbus? KS: It's a toss-up. I may suggest two of my favorites, with two very different experiences. You have Giuseppe's Ritrovo where most of the ingredients are imported from Italy. It's shocking that a gluten and dairy free girl suggests an Italian eatery, but the simple ingredients have so much robust flavor, and the staff is one of a kind. Here I will order a very simple meal. I will start with the grilled octopus sans cheese then will have their arugula salad with grilled salmon. I can't put my finger on it, but the salmon is always the best, Perhaps the perfect amount of simple spices or it's their amazing olive oil. Either way, I am always pleased with my meal and wine from Giuseppe's. Secondly, I have to give a shoutout to North Star Cafe. It's one of the best farm-to-table quick eat style restaurants I've been to. The prices are surely higher than that of a Panera, but the quality is equally heightened. CA: Most memorable restaurant meal outside of Columbus? 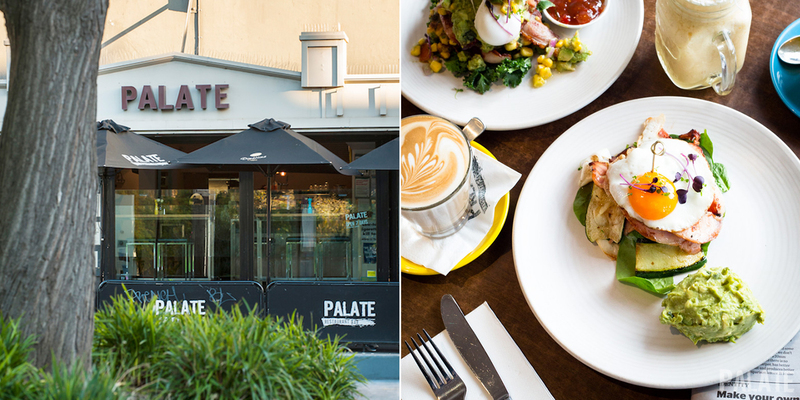 KS: Palate in (Prahran) Melbourne, Australia. They had a brunch to die for. I believe it was even called the paleo breakfast. It was a blend of a traditional English breakfast with a healthy twist. My mouth is watering recalling the taste of the bacon in Australia. Most animal proteins were grass-fed as well. The meal came with perfectly poached eggs, with the most gold yolks you have ever seen, a side of perfectly sauteed mushrooms, cooked spinach and little wedge of squash. It was a large meal, but perfect with a long black (basically an Americano/expresso combo) and shared with a friend. KS: I wouldn't say exaggerate your food sensitivity, but keep the details short, but clear. For example, if I say I am sensitive to dairy and gluten, it's not always taken seriously, so I usually keep the conversation as it's an allergy. Also, be friendly about. Sharing more personal experience, I often mention my needs to the waitress/waiter after the drink order is taken, and I usually begin with, "Can you help me pick a meal where it's safe to eat without containing gluten/dairy," or whatever the need is. If it's a larger group going to dinner, I will even call ahead and have the reservation note I have certain needs, so the staff is ready to answer allergen questions. KS: Most often. If on a road trip, I will make one of my protein pancakes (2 eggs + Standard Process Dary Free protein powder + water + dash of sea salt) wrapped in foil, and I will always have baggies of raw vegetables, nuts, water and portable fruit. I am a huge fan of the siracha chicken Epic bars as well. KS: Baked wild salmon burgers (Kirkland brand from Costco) + roasted vegetables. It's a 2 baking sheet dinner and done in 20-30 minutes. Depending on my appetite, I tend to top the bun-less burger with avocado. I also can't fail to mention the benefit of having an Instantpot. I can do various things with it, from baked sweet potatoes to a homemade soup in a portion of the time. CA: Do you consume alcohol? Explain why you think it is or isn't a good idea. KS: I do - but not daily or even every week. There is the small amount of research touting the benefits of red wine, but I believe the true health comes into play in how it is a vehicle for relaxation, laughter, and socialization. My favorite drinks include organic wine (or better yet, traditional wine, such as the those sourced from Dry Farm Wines), or silver patron, on the rocks with a fully juiced lime. Quality is equally important as quality here. KS: Keeping in mind I am mentioning this as a guilty pleasure where I don't want to blow my blood sugar control, I would say a cup of warm berries with natural nut butter dolloped on top. Otherwise, I really appreciate and enjoy a good glass of wine.